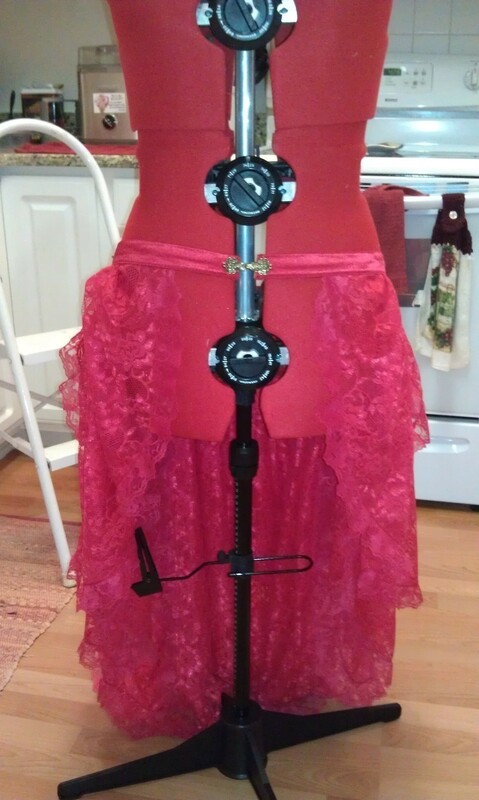 This is for a steampunk/Weird West inspired Ironette (the dancers from Iron Man 2) I'm doing. 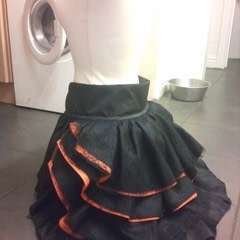 I left the skirt open in the front and will make a separate under skirt for it. 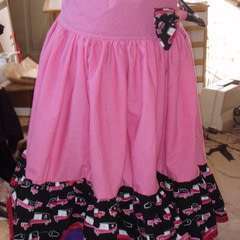 Instead of having a short bustle skirt, I made a long one with a train (the bottom panel is about as long as I am tall!). There are 6 panels total. 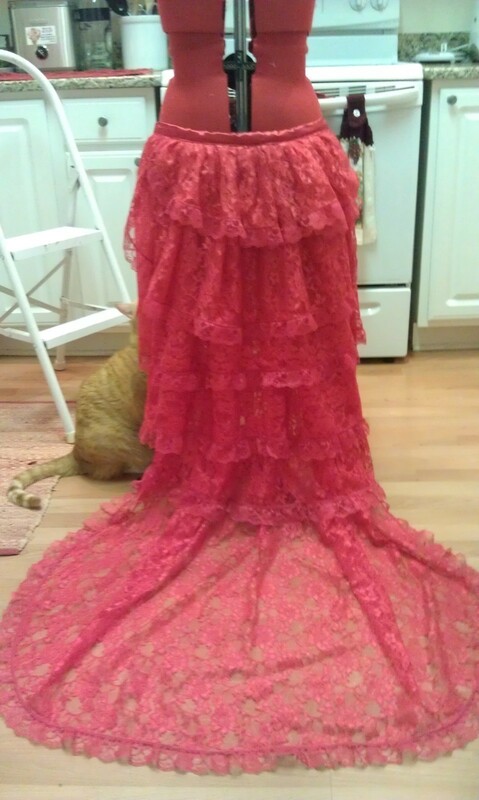 I edged all of the panels with lace trim in order to avoid having to hem the lace fabric. The project itself wasn't so hard, but it was time consuming and I broke 5 needles on my machine trying to sew through the 6 layers of bunched lace plus two layers of interfaced satin (for the waistband). It could be a wedding gothic dress...damn ... that red fabric lace , i love it...!! !